Demi Lovato "Gift Of A Friend" Lyric's!. I made this myself! 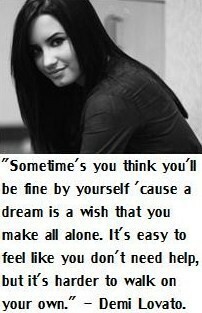 & I REALLY ♥ the song "Gift Of A Friend".. Wallpaper and background images in the डेमी लोवाटो club tagged: demi lovato 2009. This डेमी लोवाटो fan art might contain चित्र, headshot, closeup, हेडशॉट, and क्लोज़अप.